The research project examines the rise of youth activism in Taiwan from the 2014 sunflower student movement period and into the first term of Tsai Ing-wen’s presidency. This mid-term review presents the findings of extensive fieldwork amongst newly emerged minor political parties contesting the 2016 elections. It argues that the wave of youth engagement in political action in this period extended beyond the 318 student movement and following elections. It demonstrates connections between activist communities across electoral politics, musical events, digital media organisations, and urban cafes. The result was a seemingly coordinated yet organic effort across different social spheres to carry out ‘new politics’ for a ‘new era’. Graeme Read argues that these politics were purposeful efforts to transform lived experiences into formal politics. These youth activists worked from multiple angles to evict established political interests from the superstructure and build a new reflexive Taiwanese democracy. 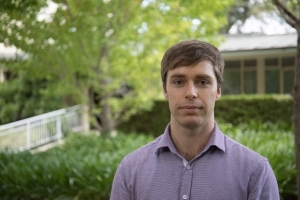 Graeme Read is a PhD candidate at the Australian Centre on China in the World, ANU College of Asia and the Pacific. He has studied, worked and researched across China mainland, Hong Kong, and Taiwan. His previous research project focused on anti-national education curriculum protests in Hong Kong. He is now investigating youth activism, minor political parties and political culture in contemporary Taiwan.